Pappageorge Haymes Partners (PH) is pleased to announce an exciting and important milestone in the evolution of the firm. 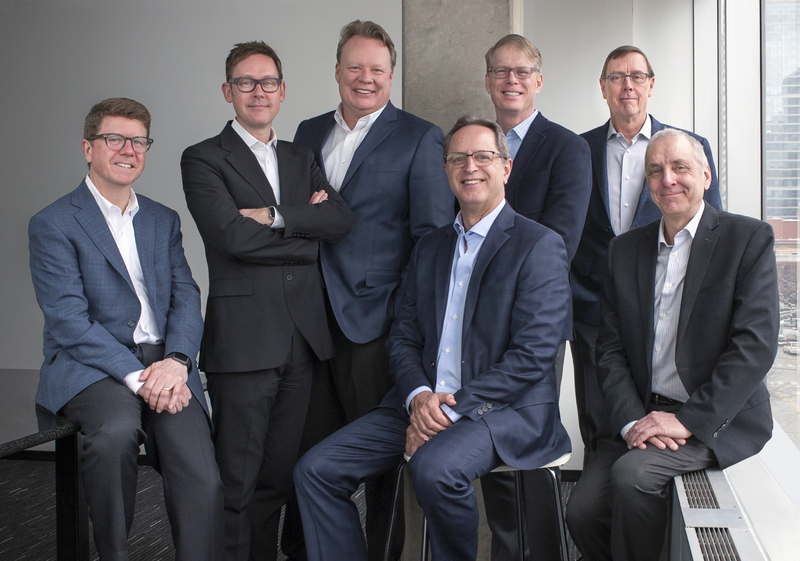 Founding Partners George Pappageorge, FAIA, and David A. Haymes, AIA, welcome venerable colleagues Kenneth DeMuth, AIA, Timothy Kent, AIA, Brian Kidd, AIA, LEED AP BD+C, Steven Rezabek AIA, LEED AP BD+C, and Jeff Renterghem, AIA, as Partners. Coming off PH’s 35th Anniversary, the new partnership model follows a management transition that began in 2006, when the new Partners took on essential roles in practice management and business development. This event acknowledges the extraordinary dedication and creative contributions each have made collectively, which have been vital in the stability, growth and reputation of the practice. Founded in 1981 as Pappageorge Haymes, Ltd., the firm built their practice with adaptive re-use designs of major significance to Chicago’s urban redevelopment. With a well-earned reputation for innovation and quality, today Pappageorge Haymes Partners is a diverse architectural studio with projects located throughout the country, with over 100 industry awards to date and client relationships that span decades. As ambitious as ever before, founders Pappageorge and Haymes will continue to provide day-to-day design and operational oversight, sharing management responsibilities with the five new Partners. As the firm continues to grow and change, it will continue to be guided by a legacy of pragmatism, independence and sense of community.